Of all the places I have visited, three have touched my mind, my heart and my soul, not to mention my imagination. Scotland, the home of my paternal ancestors, Ireland, because of my interest in Celtic music and spirituality, and New England. I can’t even say this about the mystical American Southwest. I love all things New England — its landscape, history, art (from Winslow Homer to Andrew Wyeth’s Maine), music (from Charles Ives to Bill Morrissey) and literature. 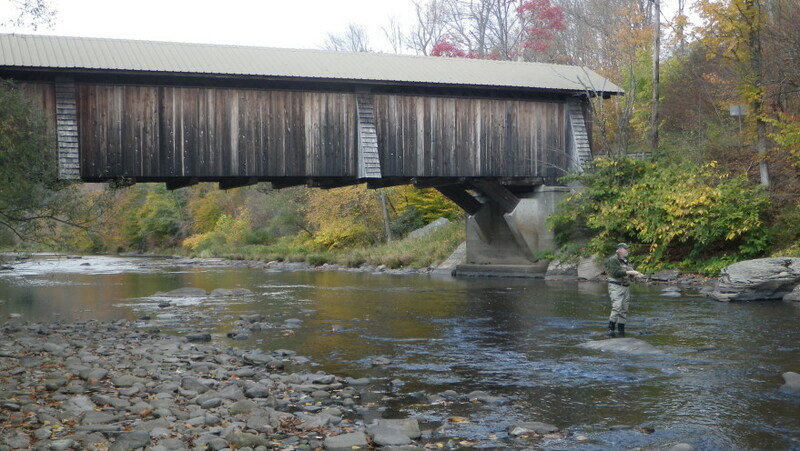 While New England is not necessarily the birthplace of fly fishing in North America, it remains its spiritual home. Although my interest in New England as a cradle of fly fishing is relatively new, since I began fly fishing only a decade ago, my interest in the music and the literature of New England dates back before I went to graduate school in the mid-1970s and took a course in the Poetry of New England, taught by a professor of old New England stock transplanted to New Brunswick from Harvard. It complemented courses in Canadian poetry and the Canadian novel. Ralph Waldo Emerson, Henry David Thoreau and Robert Frost have long been favourite writers. I love Hawthorne and Melville and Emily Dickinson, the Belle of Amherst. I have visited Concord and Walden Pond, one of Melville’s inland homes and a couple of Frost’s farms. I stayed overnight at a private house-turned B&B owned by Edith Wharton. Robert Lowell, Charles Olson, Richard Eberhart and Richard Wilbur are poetic companions whose company I covet, as are such contemporary poets as Donald Hall, John Engles, Hayden Carruth, Theodore Enslin, Sydney Lea and Mary Oliver. New England and poetry are synonymous in my imagination. Howard Frank Mosher is not only an excellent novelist (God’s Kingdom– his last work — as well as Walking to Gatlinburg, On Kingdom Mountain, Waiting for Teddy Williams, The True Account, The Fall of the Year, Northern Borders, A Stranger in the Kingdom, Marie Blyth, Where the Rivers Flow North and Disappearances), but an eloquent memoirist. North Country: A Personal Journey through the Borderland, recounts a journey along the 49th Parallel from coast to coast Mosher made to celebrate the first half century of his life. Now I’d like to highlight a trio of my favourite New England writers. Hall is a fine poet, essayist and memoirist. White Apples and the Taste of Stone: Selected Poems 1946-2006 is one of my favourite collections by a contemporary American poet. 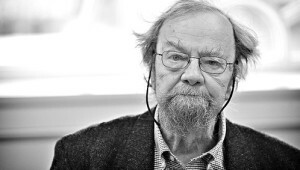 More than 200 poems span a 60-year career. The volume includes a CD recored by the National Book Critics Circle Award winner. The poems collected in Without, occasioned by the death of his wife, poet Jane Kenyon are chilling in their honesty, heartbreaking in their sense of loss and inspiring in their deep love. Then there’s Willow Temple, his fine collection of short stories and Seasons at Eagle Pond and Here at Eagle Pond, his set of companion memoirs about living in New England. There’s his essay collections Essays After Eighty and Principle Products of Portugal (the only two I have). Finally there’s Their Ancient Glittering Eyes, his wonderful remembrance of poets. There’s a particular kind of New England writer I especially admire and respect. These are either literary authors or English professors who are also fly anglers. The novelist and short story writer W.D. Wetherell epitomizes this creative hybrid. His novels include The Wisest Man in America, A Century of November, Souvenirs, Chekhov’s Sister and Morning; his short story collections include Wherever the Heart May Be and Hyannis Boat and Other Stories. As good as these are, the works that have left the deepest impression are North of Now, his non-fiction memoir/celebration of “Country and the Soon to Be Gone,” and his trio of fly angling memoirs — Vermont River: The Classic Portrait of a Man and His River, Upland Stream: Notes on The Fishing Passion and One River More: A Celebration of Rivers and Fly Fishing. No contemporary author writes better fly angling literature. 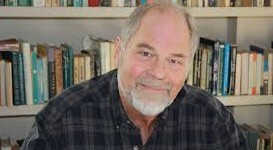 Lea is a poet, novelist (A Place of Mind), essayist, co-founder of New England Review (which he edited from 1977 until 1989), retired English professor and Poet Laureate of Vermont. He also is an avid outdoorsman — fly angler, hunter (mostly birds now), hiker, canoeist and hunting dog enthusiast who divides his time between his home in Vermont and Maine. A North Country Life (Skyhorse Publishing, 224 pages) is Lea’s third collection of essays devoted to the outdoors, following A Little Wildness: Some Notes on Rambling and Hunting the Whole Way Home. Loosely structured on the cycle of the seasons, the collection starts with a foreword by Nick Lyons, America’s foremost fly angling publisher and author of more than 20 books, mostly about fishing. It’s a reflection of Lea’s stature as a literary outdoors writer that such an esteemed author would write a foreword. 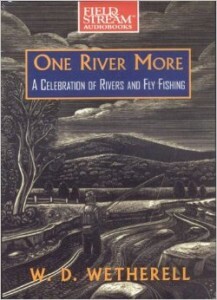 Lea brings to mind the late Harry Middleton, Ted Leeson and Thomas McGuane, not to mention Wetherell, authors who write about flyfishing with the narrative depth, philosophical resonance and linguistic grace of literary masters. Subtitled Tales of Woodsmen, Waters and Wildlife, the collection is not limited to fishing, let alone flyfishing. No matter. 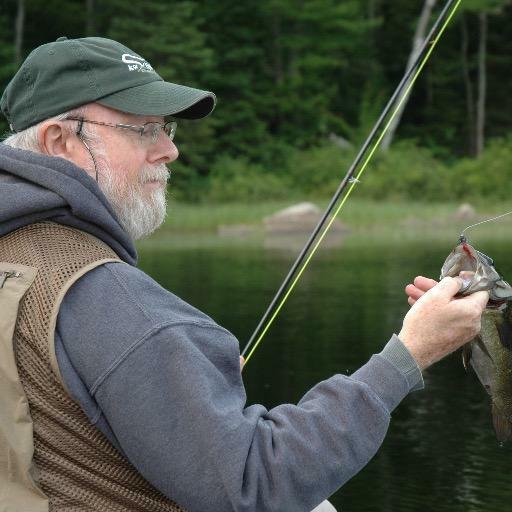 Anyone who enjoys fishing, hunting, hunting dogs, canoeing or hiking, supports ecological causes or loves the landscape and people of New England is sure to be enthralled by A North Country Life. Having reached his seventh decade on this abundant earth and suffered the loses that bite at the heels of maturity, Lea writes tenderly and affectionately of family, friends and hunting and fishing companions — especially those who have passed on and taken with them a way of life that vanished within one generation. He bears eloquent witness to this loss. The collection spans Lea’s life, recalling childhood family fishing trips in Maine, fly fishing the northern reaches of the Connecticut River, the opening day of turkey hunting season in Vermont and getting “turned around” in the deep woods while deer hunting. The essays are contemplative meditations on the intimate relationship between the human and the natural worlds. Throughout, the author’s voice resounds with uncompromising honesty and unaffected sincerity. He might well be New England ’s most passionate eulogist. Lea is a fine poet, even if not a well known one outside contemporary poetry circles. His lyrical prose paints a loving portrait of people and places from the past. Evocative scenes recall earlier times that contrast sharply with modern life, which almost always suffers by comparison. There is a soulful quality to Lea’s words, embodying and reflecting a strong conviction that an attentive life lived in intimate contact with nature is one to be preserved, revered and emulated.